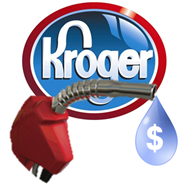 Shoppers can save money at Kroger stations or Shell stations. This is a optical benefit for shoppers and a clever move by Kroger. Both BJ’s and Costco recently reported increased store traffic as drivers took advantage of the club stores’ bargain per-gallon pricing. Why? Because consumers are so eager to save money on gas that they will behave illogically, like driving well out of their way. Now why should club stores have all the fun? Kroger shows how grocers can increase incentives while setting a cap on program costs. First, Kroger manages its liability. It has increased the funding rate while setting a limit of 35 gallons. With the average tank fill up slightly below 15 gallons, the max cost is below 1.5% of spend. [The 1.5% is calculated by this example: ($.10 X 15 gallons)/($100 spent at Kroger)]. When purchases are made at Kroger’s 1000 gas stations, it earns addition margin on gas sales. When purchases are made at Shell stations, the funding costs are presumably shared. Second, Kroger need not build any pumps. The goal is to get shoppers to buy groceries, not gas. On-site pumps make store trips more convenient, but at a cost. This program is designed to get shoppers to spend more, and Kroger’s growing partnership with Shell saves Kroger from spending Capex. Accordingly, this program notches another victory for Shell, which recently added a rewards programs with Stop & Shop, and counts Winn-Dixie and BI-LO as partners. But it really works as a gift to consumers. The urge to save on gas is so powerful that academic papers have been written on the subject. The fact that consumers save more in perceived dollars than real dollars is neither here nor there. What matters is creating a motivated shopper.